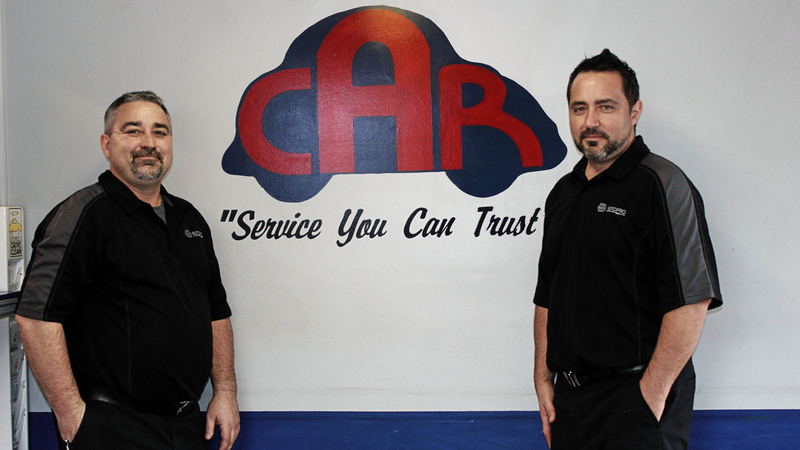 At Cino Auto Repair it’s a team effort & our technicians are family. We take pride with the level of service we provide our customers. Our highly skilled and highly qualified technicians and service advisors are regarded the as best in the field. Our team provides personalized customer service, using state of the art equipment in order to provide the highest level of service. Our commitment to product knowledge allows us to perform the repairs effectively & at a low cost to the customer. It’s our team that makes us successful and the strength of our company continues to grow because of the foundation that founders Alfonso and Lina Cino set in place. 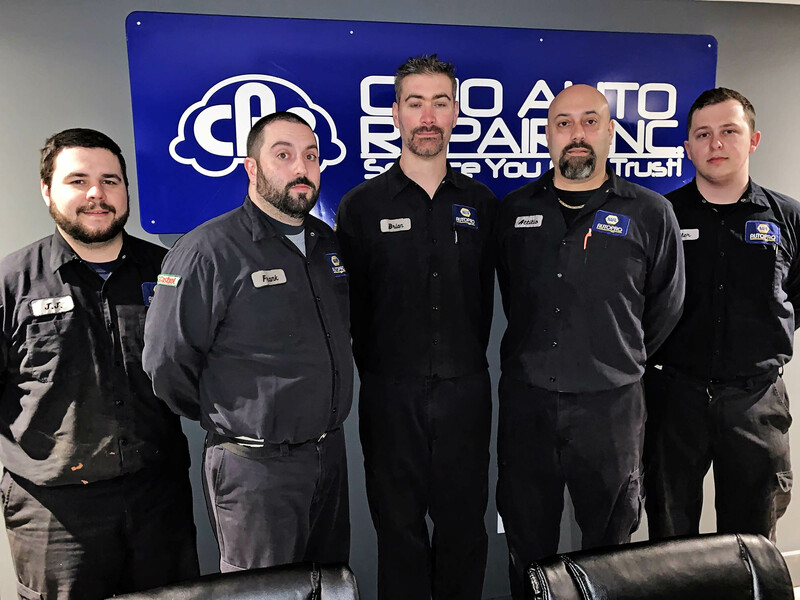 Cino Auto Repair was the recent recipient of the NAPA Excellence Award for Auto Tech Training, 1 of only 4 shops in Canada to receive the award! Luigi and Sergio have been around cars all their life. From a young age they were always at their father’s footsteps, watching, learning and asking questions. Luigi has a Bachelor of Economics from the University of Waterloo and a Bachelor of Education from Brock University. After completion of University he obtained his “Class A” certification in car and truck auto mechanics from Mohawk college. Sergio has a Bachelor of Marketing from Brock University and a Bachelor of Education from Brock University. He also completed his “Class A” certification in automotive car repair from Mohawk college. Luigi and Sergio together with their families have worked hard to build Cino Auto Repair into a company that customers can trust. They take pride in building relationships with customers, and are now seeing the third generation of families come to the service centre. As fathers with children, being involved in the community became important. Sports became an important part of their lives and volunteering with minor hockey and soccer associations became part their lifestyle. They believe that building a business is all about treating people fairly and treating each vehicle like it’s your own. Vehicles have changed in look, build and technology but the good customer service that Cino has offered since the beginning remains the same. Attilio has been a member of our team since 1999. Attilio started with our company as a young apprentice and very quickly is was obvious he had a knack for cars. Attilio is a meticulous technician and has acute attention to detail. Attilio is a Red Seal Automotive Certified Technician, Drive Clean test and Drive Clean Repair Certified Technician, AC Delco trained Automotive Technician, Napa Excellence award winner, Napa Auto Tech Certified Service Advisor, Ontario College of Trade licensed & first aid certified. Attilio has been awarded a Reader’s Choice for Top Auto Technician. He has been a valuable part of our company from the start. Attilio is married, with 3 children and in his spare time enjoys spending time with his family and volunteering with community sports. Frank has been a member of our team since 1999. Frank also started with our company as a co-op student. Frank is not a big talker but his workmanship does his talking. Frank is an excellent team member and leads by example. Frank is a Red Seal Automotive Certified Technician, NAPA Auto Tech Award Winner, NAPA Auto Tech Certified Technician, AC Delco trained Automotive Technician and Drive Clean Test Certified. Frank is a father of two great boys and in his spare time enjoys watching football. Brian has been a member of our team since 1996. Brian also started with us as a young man. Brian has excellent customer service skills and our customers always take time to say hi to Brian. Brian is a Red Seal Automotive Certified Technician, AC Delco trained Automotive Technician and Drive Clean Test Certified. Brian is our fleet technician and has great knowledge in vehicle maintenance. Brian is married with a beautiful daughter and in his spare time enjoys car racing, camping and fishing. hockey in his spare time. Tyler joined our team in 2018. Tyler is a second-year apprentice and will be learning from all our licensed technicians. Tyler is a great team player and has a great passion for working on cars. Tyler enjoys playing soccer and going to the gym in his spare time.